Have you ever wanted to come face to face with fierce tribal warriors, head-hunters or a witch doctor? 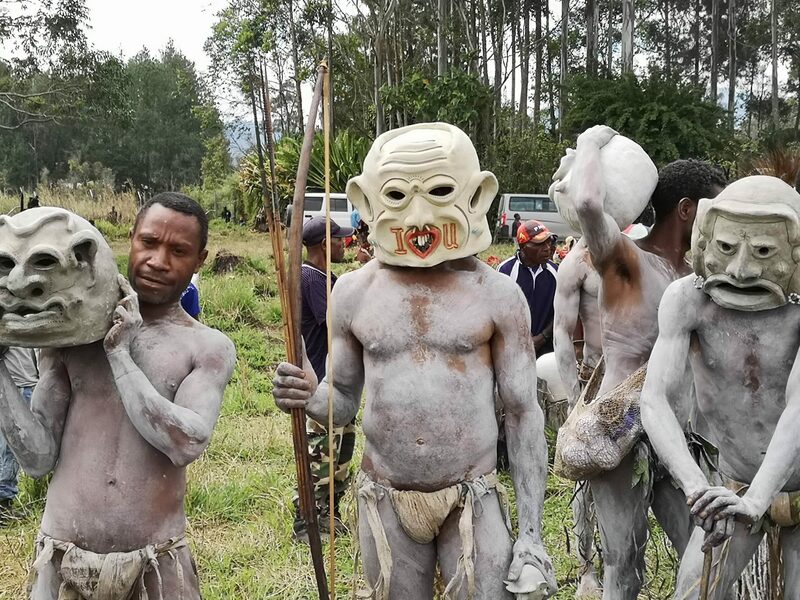 If so, or if you simply want to explore and experience one of the most remote parts of Earth, come and experience the truly remarkable Mt Hagen Festival in Papua New Guinea! 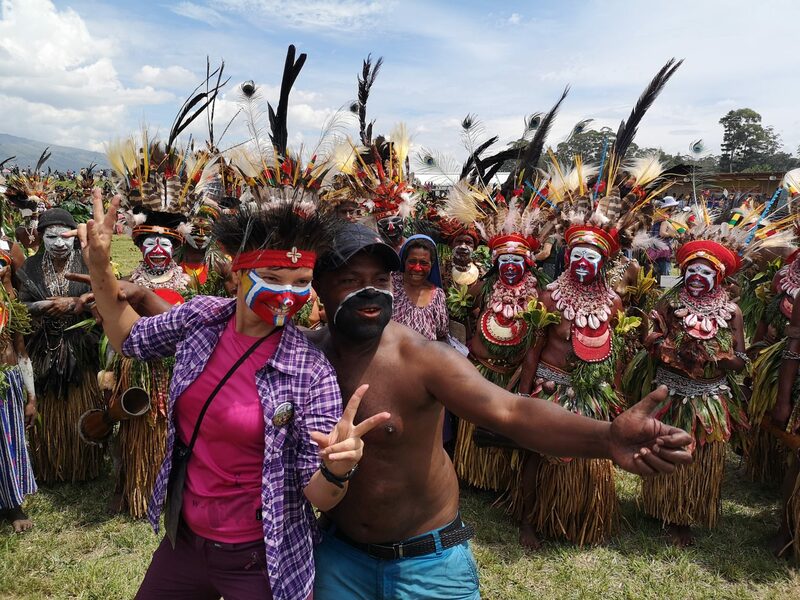 On this tour, YPT will be taking full advantage of the festival celebrations allowing you to see the traditional New Guinean life in all its feathered glory. The Mt. Hagen Show, which goes on over the whole weekend, consists of hundreds of tribes from all over the island showcasing their tribe’s traditional dress and dancing. 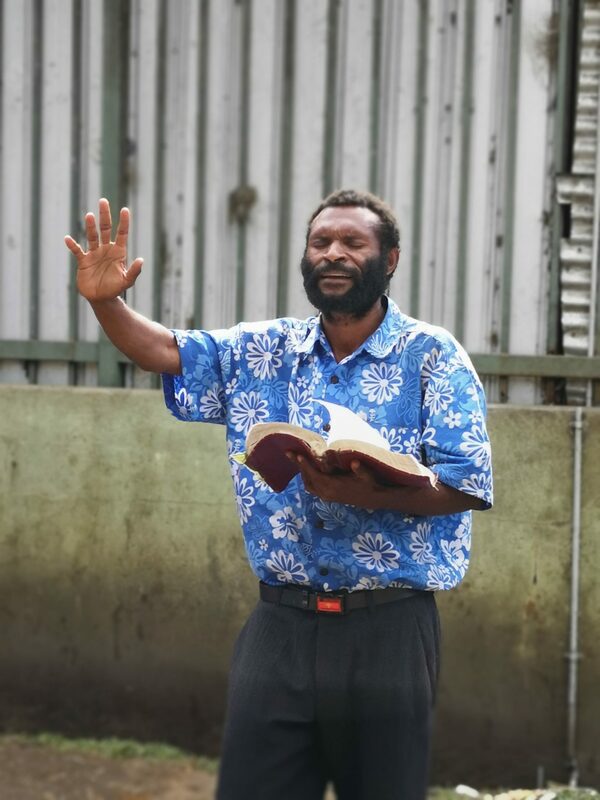 We will not only spectate the show, but also get opportunities to take part in the daily life of the people of PNG. We’ll attend a school’s culture day and stay in a village for a traditional feast. It doesn’t get more real than that! During the tour, we will stop by the capital, Port Moresby where you will meet your guide and fellow travellers over drinks at the yacht club, before heading deep into the interior to one of the most isolated parts of the world. 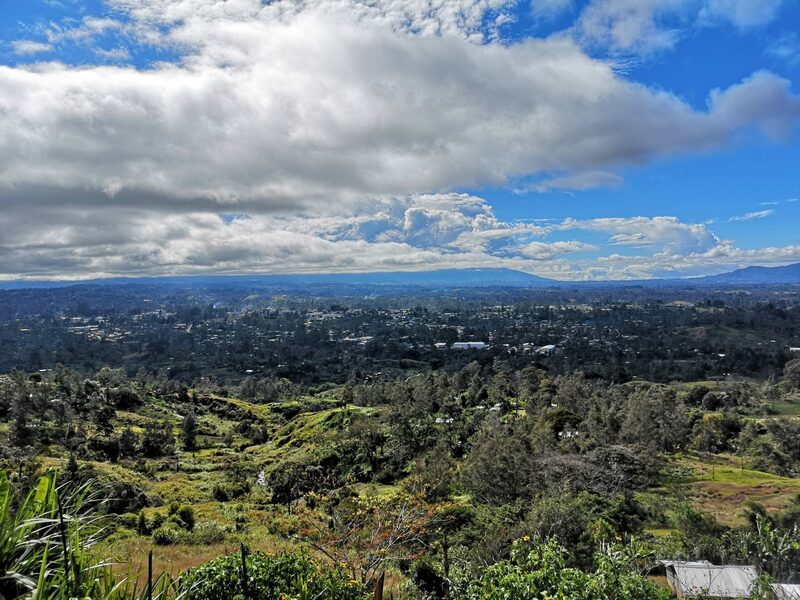 This year, we will visit even more of the highlands provinces than last year stopping by the very seldom visited cities of Goroka and Madang before we catch our flight back to Port Moresby. 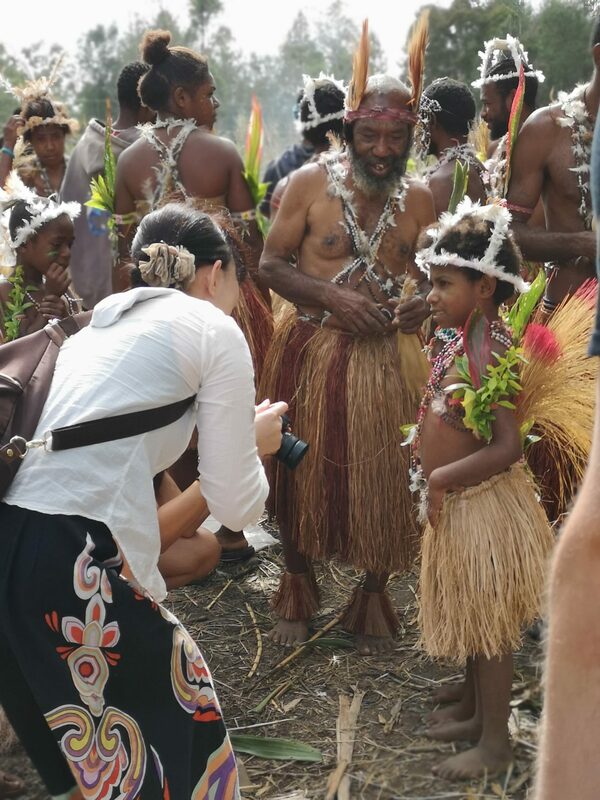 Other companies will fly you in and out for the festival only, we take you behind the scene, to real PNG. For the first time, YPT will delve even deeper inside uncharted territory as we offer an extension to the up until recently war-stricken province of Bougainville. Sign up for Group B and join us as we learn more about this conflict, meet the people it involved but also discover a land of untouched beauty. Urban exploration of an abandoned mine, island hopping, village visits and lots of banana-boats, all rolled up in one neat, full-on package! For those who have already seen Mount Hagen, our tour of Bougainville is also available as a standalone tour. Don’t miss out on this incredible chance to see one of the least explored parts of the world! Meet your YPT guide in the hotel in Port Moresby at 4pm. Head out for a group dinner and some drinks at the new waterfront boardwalk. We will discuss the trip in more detail and it will also give you a chance to get to know your YPT guide and fellow travellers. Early morning transfer to the airport to catch our flight to Mt. Hagen with PNG Airlines departing at 8:30 am and arriving in Mt. Hagen at 9:30am. Afterwards we head out into the surrounding mountains for more sightseeing and we will see different kinds of wildlife, much of it unique to PNG, like birds of paradise, highland echidnas and cassowaries if we are lucky. We go deep into the highlands jungle to join villagers as they will prepare a celebration for our arrival. The villagers will prepare pig mumu for us. Pig mumu involves the slaughtering of a pig, which is then prepared and cooked in a hole under hot rocks along with yam and corn. While we wait for it to cook, the villagers will introduce us to different customs and traditional skills such as fire making and archery. After a massive feast, we will go for a trek to the nearby waterfall where we can swim and enjoy ice cold water. Head back to Mt. Hagen for dinner at a Kaibar, local hole in the wall kind of restaurant and overnight. After breakfast at 9am, you will drive out to the Luglamp community. Today we will get the chance to mingle with villagers of this community at their school’s cultural day. 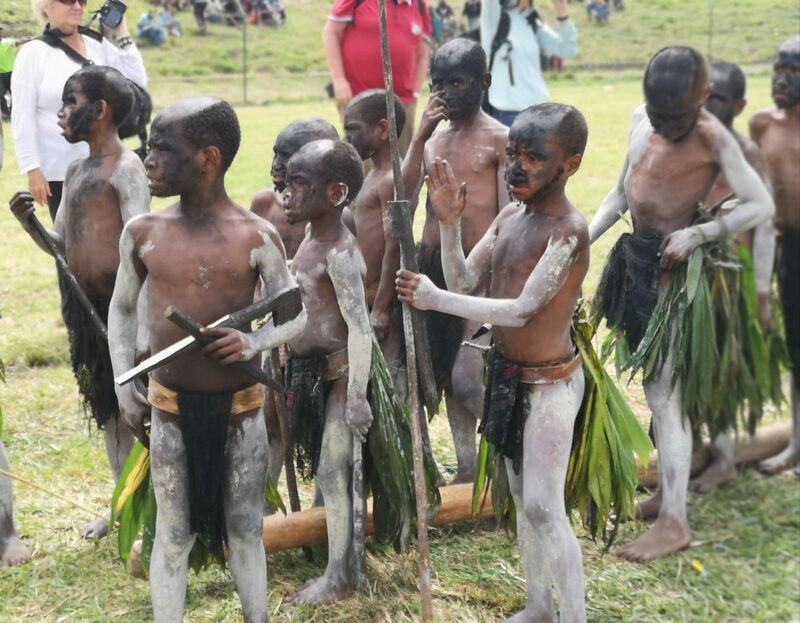 It is like a mini-Mount Hagen festival organized by students, teachers and administrators of the community. 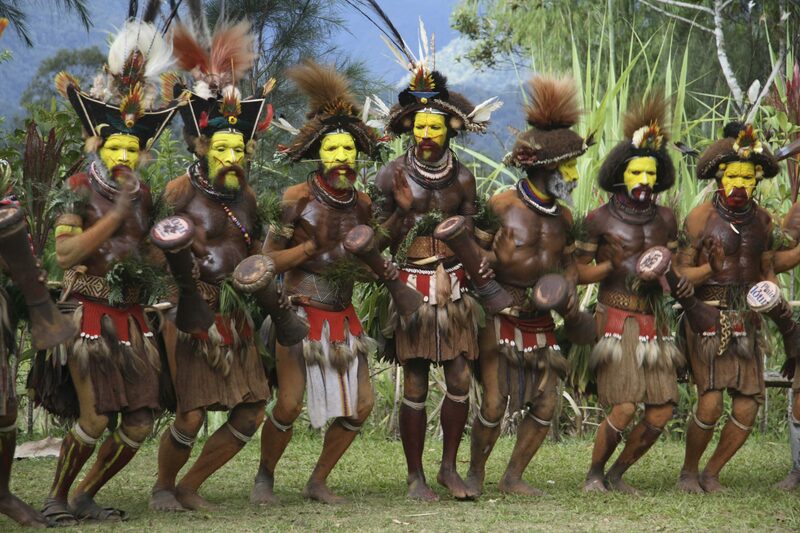 Contrary to Mount Hagen Festival, you can expect us to be the only foreigners in sight! Visit of a local coffee plantation and factory. Mount Hagen is renowned around PNG but also the world for the quality of the beans they produce here. Overnight back at our hotel. Today is the big day! 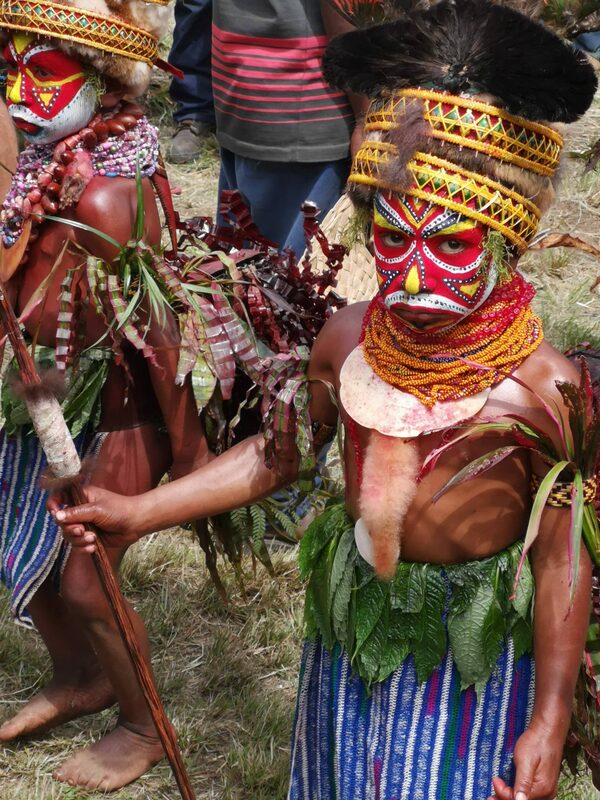 We head to the local football ground which will turn into the site hosting the Mount Hagen festival. We get there early to make sure we can witness the members of different tribes dressing up and preparing their costumes. This will be your chance to get up and close with the Huli Wigmen a tribe that wears extremely elaborate headdresses made from their own hair and other materials. After the show in the afternoon we will head back to the hotel for dinner. Another day at the show, this time with a chance to see he Waipa dance also known as the “big jump” dance which is a mass dance only found in PNG, quite an awesome sight and definitely a highlight. Night out in Mt Hagen to celebrate the end of the festival and tour, we will go for dinner and drinks partying PNG style! 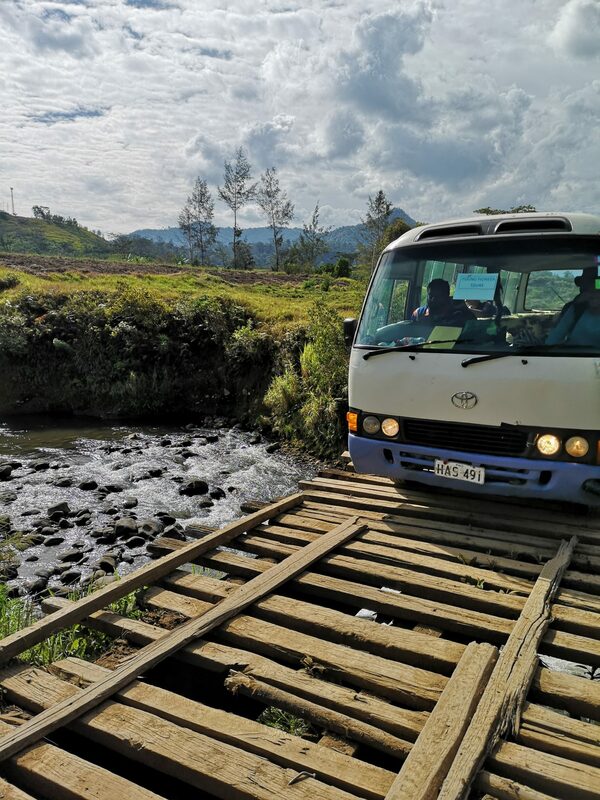 Today, we leave Mount Hagen for good as we will take our hired bus to see more of the highlands regions, stopping on the way for multiple photo opportunities. We will stop for lunch in the city of Goroka. 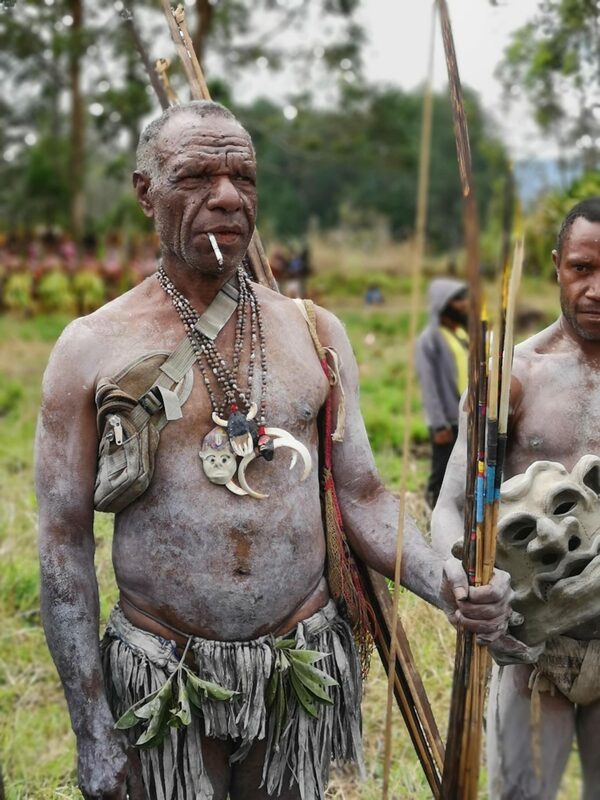 Goroka is the site of the other big festival in PNG and its oldest one. We stop by the J.K McCarthy Museum in the city which is made up of several rooms showcasing everything from WWII relics and traditional PNG objects. A highlight of the exhibition is a collection of photos showing PNG as it was when it had its first contact with Australians in 1930s. After resting well in Goroka, we take our bus and head to the beautiful coastal town of Madang in Morobe Province. We go on a city tour of Madang including a stop by the coast where we will see gorgeous sceneries left untouched for generations. We continue and reach the beautiful coastal town of Madang, in Morobe Province. We take the early Air Niugini flight at 7:00 am from Madang back to Port Moresby at 8:00. End of tour for Group A. Many international connections are available from Port Moresby such as flights to Australia, Singapore, the Philippines and Hong Kong. For Group B, those of us who carry on to Bougainville will stay in POM airport for a one-hour layover until we catch our flight to Buka, the capital of the province of Bougainville. After resting and settling down for a while, we will tour around the village and visit a traditional clay pot making place. In the afternoon, we will take a bus ride to Kubu where we will see the parliament house and access a gorgeous viewpoint allowing us to observe the whole of Buka passage, a strait filled with shipwrecks of WWII. On our way back we will stop to visit ruins of Japanese WWII bunkers in Hahela. After breakfast, we will ride our bus to a historical site located next to the police station in Buka Town. This site is known as the Mass graveyard for the Bougainville Revolutionary Army during the Bougainville civil war. Our local guide will take this time toexplain to us what has happened during those troubled times. We hop on an iconic banana boat and cross the Buka passage. Just before we arrive in Arawa we will visit the decommissioned Panguna Mine. It used to be the biggest open cut mine in the world with a width of 2 kilometres and a depth of 430 metres. It was closed in 1989 due to the Civil War but locals still come here to pan, hoping to find gold. We will visit the abandoned installations of this monstrous monument to careless exploitation. Overnight and dinner at Pidia village, which we will reach by boat from Kobuan bay. At night, we will watch the 2012 movie Mr. Pip, staring Hugh Laurie, which tells the story of a girl in Pidia village going through the events of the Bougainville Civil War. It happened here! We wake up in Pidia village for breakfast and head out for a village tour. We’ll find a out-rigger canoe which we will have the chance to row. Outrigger canoes are the quintessential Austronesian mean of transportation and an important part of the local villagers everyday transportation. “Eberia” literally translates as ‘’this way‟ in the local language and according to local folklore is rumoured to be the gateway to the Underworld. It is a truly unique and spooky sight. We cross to the other side of the cove towards Pokpok Island. On our way we’ll stop and check the abandoned Arovo Island Resort. Its services were disrupted by the Civil War. We will check in at Uruna Resort to drop our baggages before we head out for an afternoon of Island Hopping. On our way back to the Lodge, we’ll stop by a WWII memorial by the town of Kieta where a zero plane and a Japanese tank are exposed. After breakfast this morning, we will take a boat to Tubiana and will be picked up by vehicle there to go visit the market of Arawa. We head to Topiniang village where we will finish our trip with a bang. Here villagers will welcome us to stay with them. Amongst other things, they will show us their flowers gardens as well as a live bridge made up of vines from a Ficus Tree. The most intrepid of us will get to cross this bridge which goes over a mountain stream and takes us to pools and caves waiting only for us to explore them. Is it safe to travel to Papua New Guinea? Go hiking in the jungle and the mountains of the Mt Hagen highlands with the chance to see rare wildlife and even a witch doctor! 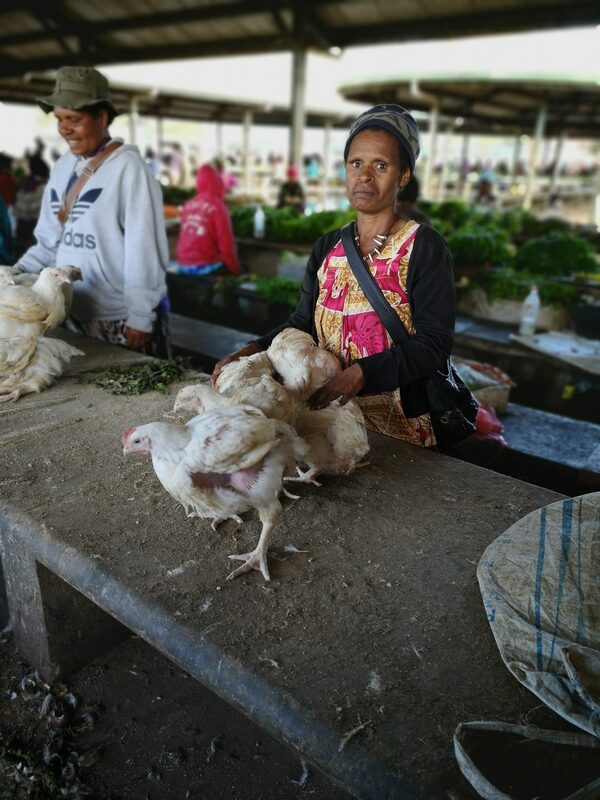 Eat and sleep amongst the locals of Bougainville, a part of the world that was completely off-limit until recently!